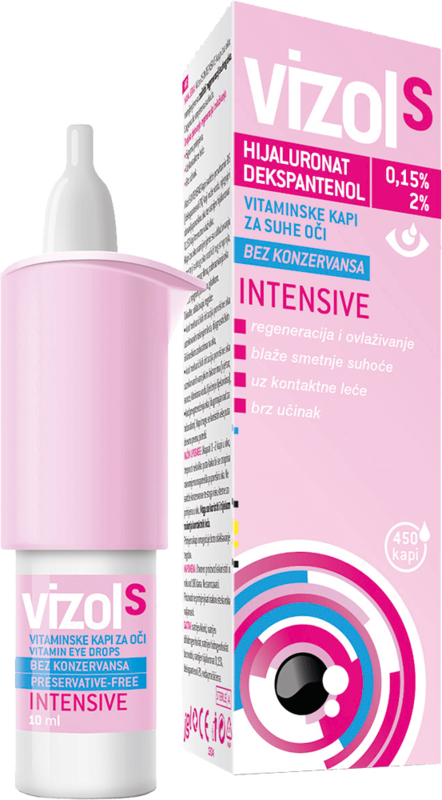 Vizol S is preservative-free and fast-acting, it has an innovative applicator and remains sterile for up to six months after opening. The 0.4% sodium hyaluronate concentration is the most viscous one on the market; it remains on the eye surface for a long time to provide eye comfort. Long-lasting dryness can cause damage to the surface of the eye and a longer lasting feeling of discomfort. 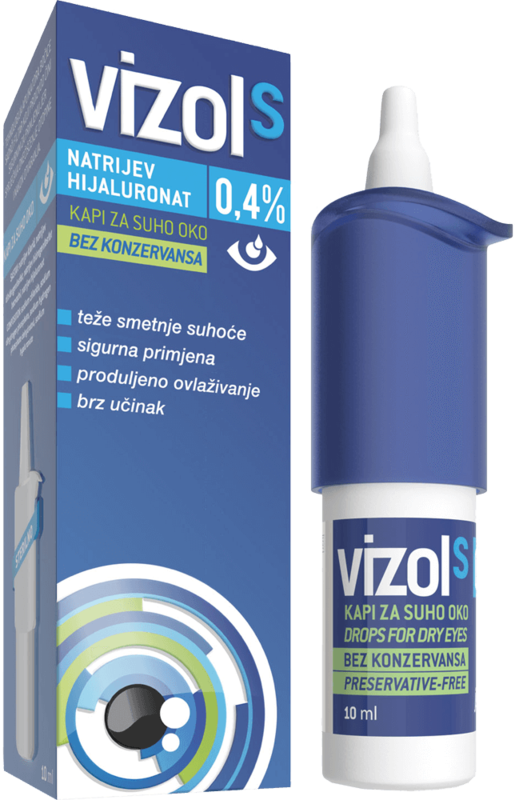 Vizol S Intensive vitamin eye drops have a dual effect: they encourage regeneration of the surface of the eye, making it smooth again, and they moisturise the eye. 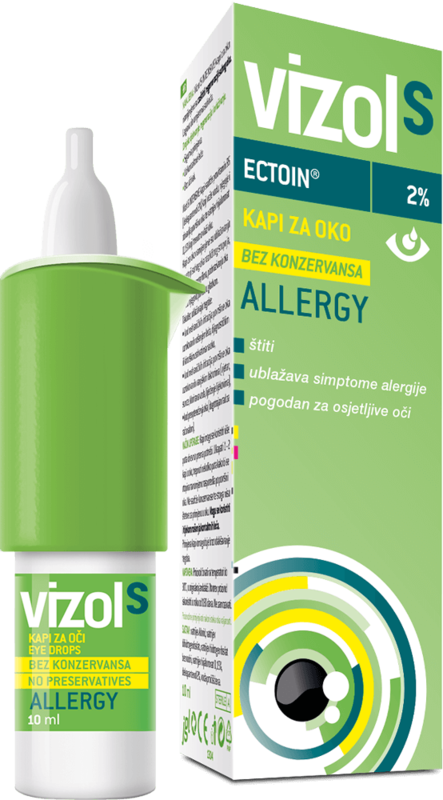 Vizol S ALLERGY eye drops with Ectoin® act preventively for exposure to different allergens, but also relieve existing symptoms. 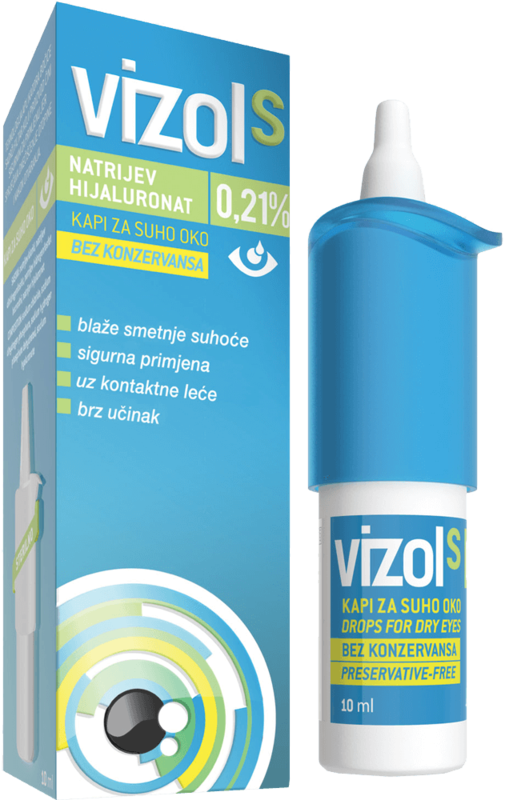 Protect against harmful effects of allergens and help in the recovery process of the irritated and sensitive mucous membrane of the eye. Suitable for people who wear contact lenses, children and people with sensitive eyes. Preservatives free, safe for usage up to 6 months after first opening.